Many of us are not even aware how much power a swipe of lipstick has. The boost of confidence you get when you wear your favorite lipstick is more than just a style thing – a random choice of your lipstick shade says a lot about your personality. Take a look and learn how people perceive you based on your lipstick choice. Women in a bold red lip are usually perceived as creative and daring. If you are bold enough to draw attention to yourself by wearing a red lipstick, people see you as passionate, sensuous and full of energy. 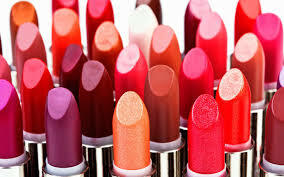 Pinkish shades are sweet and girlie and there are not many women who don’t have this shade in their collection. Pink is associated with cuteness and women are supposed to fall in love with this color when they are young and are full of love. Associated with soft natured women, this shade makes women seem sociable, attractive and fun loving. If your favorite #lipstick shade is plum, you are probably perceived as independent and refined, since this is not such a common color. Ladies who wear this shade are often seen as dependable and reliable and they prefer to stay home on weekends.